Dr. Gadio has been the President of the Institute for Pan-African Strategies, Peace-Security-Governance (IPS) since September 2012. He is also the President of SARATA Holding; a private firm which promotes development and business partnership in Africa. 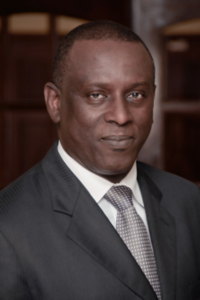 From April 2000 to October 2009, Dr. Gadio held the position of Senior Minister and Minister of Foreign Affairs in the Republic of Senegal. 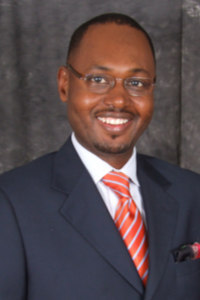 Dr. Gadio was also a Presidential candidate in the Senegalese elections in February 2012. His range of expertise varies from diplomacy, conflict prevention and resolution to communications and international development. Abiola Alabi was named a 2014 Yale World Fellow and joined 15 other World Fellows selected from thousands of applicants across the world. 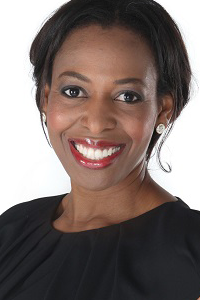 Abiola is an African media expert and Managing Partner at Biola Alabi Media Consulting, a company designed to provide organizations with access to highly qualified professionals in the broadcast, telecommunications and digital industries. Until recently, Abiola served as Managing Director of Electronic Media Network (MNET), Africa’s first private and leading subscription television service. As Managing Director for MNET, Biola worked tirelessly to produce and air stories created by and about Africa and Africans. 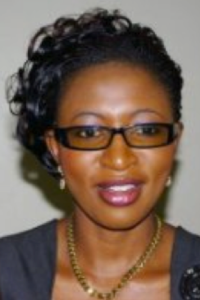 Based in Lagos, Nigeria, she spent four years increasing the company’s Africa portfolio, including overseeing the launch of AfricaMagic Hausa and Yoruba in 2010 and AfricaMagic Swahili in 2011. These channels have made considerable contributions to the promotion of indigenous languages and cultures in Africa. She oversaw four editions of the popular reality series Big Brother Africa, and created the Face of Africa Finale in Lagos in 2010 and the first ever Africa Magic Viewer’s Choice Awards in 2013. Biola was listed as one of the 20 Youngest Power Women in Africa by Forbes in 2013. She previously worked with leading brands Sesame Street, Bigwords.com and Daewoo Motors. She is currently consulting on special projects for MNET. Mrs. Banda possesses over 10 years’ experience in international development with functional specialties in sustainable and participatory community development; public policy analysis and advocacy; Development Programme design and management; Institutional development and Capacity Building; Development Financing and Aid Effectiveness; gender and Women’s rights. Mrs Banda has also acquired good government relations, negotiation and diplomatic skills which have been nurtured through numerous interactions with government officials both nationally (Malawi), and globally including heads of States, Ministers, European Commissioners, European Parliamentarians, members of the US congress, diplomats, senior heads of donor agencies (DFID, EU,USAID, OECD, UN, WB), and government officials (both central and district levels). Mr Ba is the Chief Executive of the African Media Initiative (AMI), an unprecedented Pan-African effort aimed at providing the continent’s media owners and practitioners with the tools they need to play an effective role in their societies. Mr Ba is also a co-founder and Chairman of All Africa Global Media, Inc – owner and operator of All Africa an international multi-media content service provider, systems technology developer and the largest distributor of African news and information worldwide. Mr. Ba is a member of the invite-only African Leadership Network, member of the World Economic Forum’s Global Council for the Future of journalism, Advisory Board member of the Reporting Developing Network Africa, a member of the Advisory Committee of the Knight International Journalism Fellowship administered by the International Center for Journalists (ICFJ) as well as a member of the Africa Policy Advisory Board of ONE. Ms. Ramokgopa is currently serving as a board member of the National Youth Development Agency of the Republic of South Africa. She is also serving as a member of the National Task Team of the African National Congress Youth league and as a National Coordinator of Young Women’s Desk of the African National Congress Women’s League. Maropene has served on the following structures of the African National Congress Youth League; namely the Regional Executive Committee and Provincial Executive Committee. She also served as a National Executive Committee member of African National Congress Youth League for two terms for the period of 2008 to 2013. 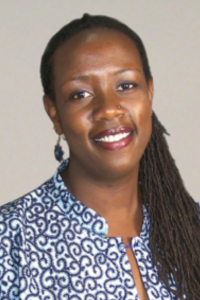 Born in Kenya, she holds a Ph.D. and Masters degrees in Political Science from the University of Minnesota and a BA degree in Politics from Whitman College. 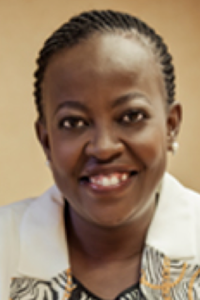 She has received widespread recognition for her work including being honored as a 2012 White House ‘Champion of Change’, named one of the 100 Most Influential Africans by New African Magazine, 2012 Ford Foundation Champions of Democracy, and a winner of the 2010 United Nations Intercultural Innovation Award among others.